Work on the University of Wales Trinity Saint David’s (UWTS) new Construction Wales Innovation Centre (CWIC) at the University’s SA1 Swansea Waterfront development is nearing completion ready for an October opening. The Construction Industry Training Board (CITB) and a consortium led by UWTSD are working in partnership to deliver CWIC’s state-of-the-art facilities and training for individuals and construction companies, with CITB investing £6.5m. The centre will see a minimum of 1,100 students trained at the SA1 hub each year. CWIC has already engaged with over 2,000 welsh construction industry professionals, operatives and related staff and has delivered a total of 633 training days since it began in 2016. CWIC activities provision has supported 350 welsh employers and has approved 260 activities to run throughout Wales. The partnership includes Coleg Sir Gâr, Coleg Ceredigion, Coleg Cambria, Coleg y Cymoedd and Building Research Establishment (BRE). As well as delivering world-class training, the scaffolding management course at Coleg Cambria and the heritage plastering course at Coleg y Cymoedd are being taught in collaboration with CWIC for the first time in Wales. Situated in phase one of the University of Wales Trinity Saint David’s new £350 million SA1 Swansea Waterfront development, the building is being constructed by Kier. It will cover 1,000 square metres of floor space, providing a ConstructZone, classrooms, dedicated IT suites and conference facilities. A dedicated scaffolding training facility will also be sited close by. 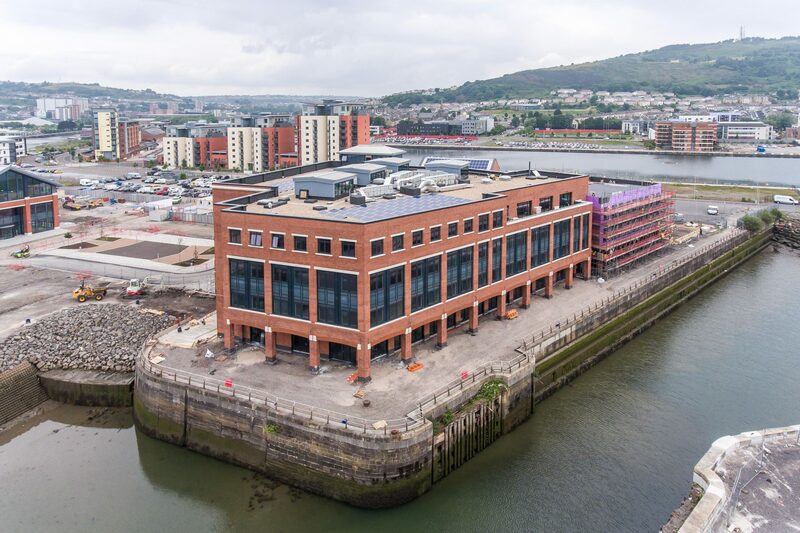 Professor Mike Fernando, dean on the faculty of architecture, computing and engineering said, “The faculty of architecture, computing and engineering (FACE) is proud to host the Construction Wales Innovation Centre (CWIC) at our new SA1 waterfront campus. We value our ongoing partnership with Construction Industry Training Board (CITB) and believe this collaboration is key to providing innovative solutions to the construction industry’s skills needs.